Come stay Above The Clouds! This beautiful luxury cabin is perfect for those wishing to enjoy the mountains in comfort, with lots of amenities and its ideal location in the Aska Adventure Area! 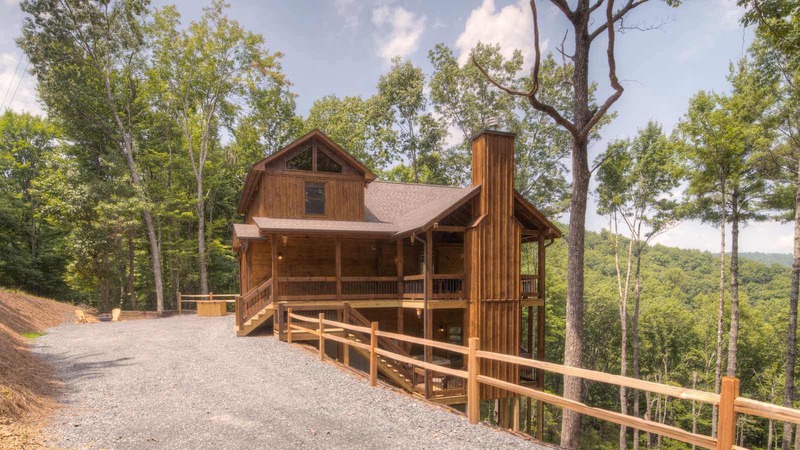 This cabin is located in the Aska Adventure Area of Blue Ridge, Georgia. 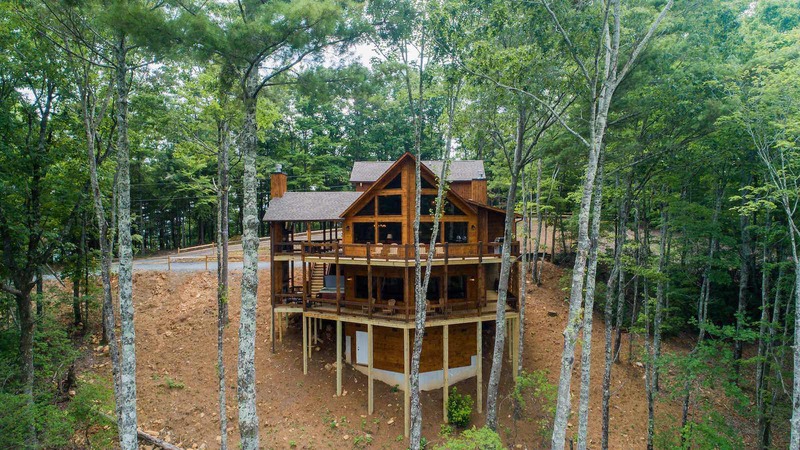 The Aska Adventure Area offers tubing, fishing, canoeing, kayaking, swimming in the Toccoa River as well as being close driving distance to scenic hiking and water fall trails. This custom-built property was designed with unique and locally sourced timber in a variety of beautiful textures and finishes. The contrasting colors and textures of wood used during construction throughout truly make this cabin a beauty to behold. Upon arrival, you'll be greeted by a fire pit just off of the cabin's driveway. 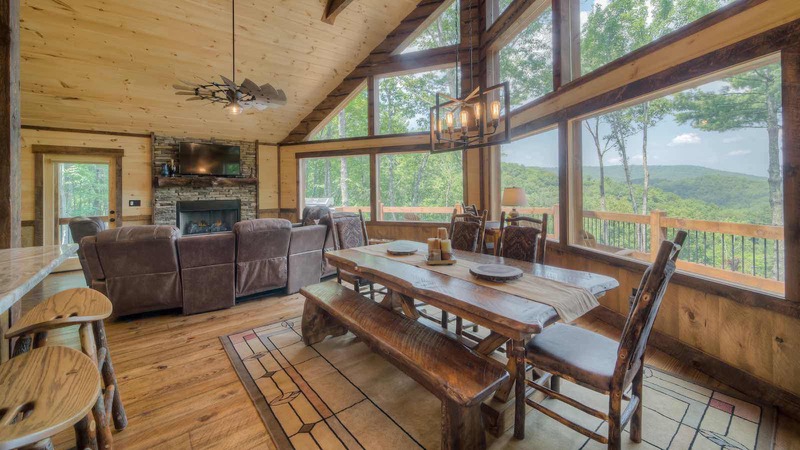 The cabin's main level deck offers a comfortable outdoor entertaining area, complete with dining table, outdoor stone gas log fireplace with TV, gas grill, and of course, the beautiful view. The deck wraps around the prow front with Adirondack chairs facing the view, perfect for morning coffee with a view or evening stargazing. Enter the main level to enjoy the soaring ceiling living space, which has a nearly all glass prow front facing the view. The luxurious kitchen has hand crafted cabinets with granite counter tops as well as breakfast bar seating. The beautiful hand-crafted table seats 6 - 8 guests for dinner parties with your favorite people you'll remember for years to come. The living space with soaring ceilings has a plush sectional sofa along with a stone gas log fireplace and TV topping the log mantel. Just off the kitchen is a handy half bath and the master bedroom. The master bedroom boasts a King size bed, TV and a posh bathroom with a large tile shower, garden tub, and double vanity sinks. Take the reclaimed rebar staircase to the cozy reading loft which overlooks the great room and wall of windows. In the loft chair, you can catch up on your reading, or just enjoy a cup of tea while taking in the mountain view. A few steps away is the upper levels luxurious bedrooms and bathroom. The bedroom to the left has a king size bed and TV. The bathroom on this level is in the middle, which has a tile shower and single vanity. The bedroom to the right has a queen size bed and TV. Ready to explore the game room level? Here you'll find another stone gas log fireplace with a TV atop the log mantel, surrounded by comfy seating, shuffleboard, a card table, and wet bar. The 4th bedroom is also here with a king size bed, TV and full bathroom offering a tile shower and single vanity. Just outside is the third level's deck, which has a 4th gas log fireplace and hot tub. The gorgeous mountain view can be seen from the hot tub, making it the perfect place to relax after an adventure filled day! 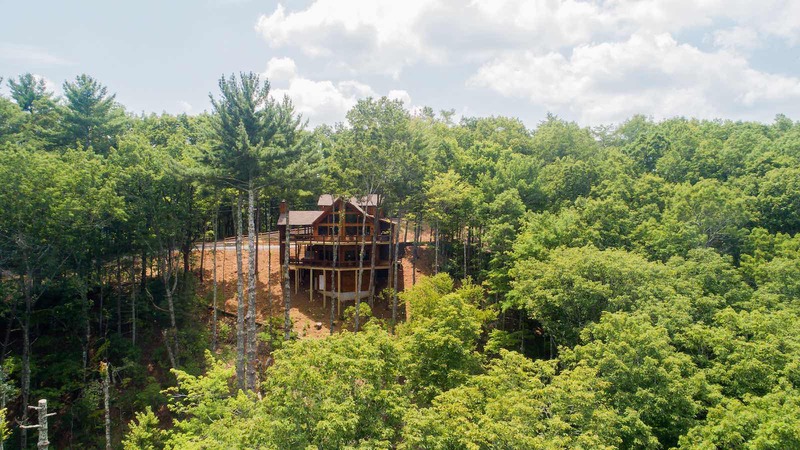 Above the Clouds is the stunning luxury property in Blue Ridge you've been looking for. Reserve today to enjoy your own perfect vacation, Above the Clouds!